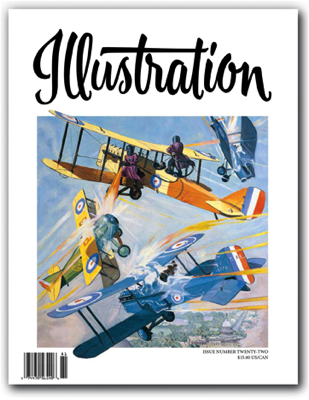 In this issue: The work of pulp artist Frederick Blakeslee, best known for his incredible aviation covers; the slick magazine illustration of Morton Roberts; the rediscovery and salvation of The Merrill Company Publishers archives, one of the leading children's book publishers of the 1950s. Book reviews, exhibitions, and more! 96 pages in full color. $15.00 U.S.